Jaime Nared had a game-high 22 points, but it wasn't enough as No. 11 UT lost to Alabama, 72-63, on Feb. 15, 2018, at Thompson-Boling Arena. The Lady Vols (21-5, 9-4 SEC) came out on the losing end of a streaky game that saw leads exchanged on three different double-digit runs. Tennessee had the advantage in the paint, out-rebounding the Crimson Tide 45-39, but Alabama (16-10, 6-7 SEC) won the game behind a 42.6% field goal percentage to UT's 35.3% effort. The Crimson Tide's offense was paced by Jordan Lewis with 19 points and Ashley Williams with 16. Schaquilla Nunn recorded her first double-double of the season, but it wasn't enough as Tennessee fell short against Alabama, 65-57, at Coleman Coliseum on Feb. 16, 2017. Last two games were losses. How many times did Pat lose to Alabama? I have switched my love to mens team.. I hope we score 62! They're going to win...and win big. Missouri was a bad team, but Bama is a BAD team. 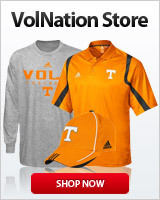 If Tennessee manages to lose this one, stick a fork in them...they are officially a bona fide dumpster fire. Good luck, Lady Vols. Hope you straighten it out. Still a fan of both programs and don't ever intend to change I am a VFL. They were bad last year, but they had some good players. This year, there is not one player on their team that makes me say, "Hey, gotta watch out for her". They are THAT bad. If they find a way to lose to Alabama, then Holly has completely lost the team, and I don't expect anything from them for the rest of the season. Bama is not just a bad team...they are a TERRIBLE team. Yep they are bad but we can be worse against good zone defense teams so we shall see what happens.My guess would be if our press doesn't work to achieve turnovers which lead to a scattered court and points that it will be another long nite for the LV's .By the way Holly lost this team a long time ago …...the team had a team ( without coaches ) meeting prior to the Georgia game and there was ( I hear ) discontent expressed by a large number of players. It has to be one vision, one prize,,,and everyone begins to work towards that goal. Explain that focus is how you achieve the goal. Everything that happens in a game, has to be valued. You get "stared at" as you sit for a spell. I guess Bama fans are saying the same thing about our players. I tend to agree with Amb3096. This is not a good Bama team at all. If we manage to give this one away, we will indeed be in a free fall. The "players only" meeting that was reported here concerns me. Especially since nothing appeared to change in the Georgia game. Just hope some players aren't reconsidering the commitment to UT. In any world, a player with numbers like Rennia or Evina is a player to be feared. Well, except when playing for Tennessee where the team is inexplicably much less than the sum of it's parts. Amb3096 I agree with you 100% And to me i`m not sure why Holly is so scared or unwilling to shake up the lineup, Maryland coach replaced her starting pg with a fr and it seems the team has been playing better. Also i notice Rutgers V. Stringer has benched So F, Mael Gilles now they have won 7 games in a row. I think this game will be very telling about how the rest of the year goes. Do they come out and play as they are capable or do they go through the motions? Our most talented player doesn't play with the desire of a champion. Every drive to the basket ends up stopping short and passing the ball off or taking a jumper. When you turn the corner, there should be no stopping unless the defense is in front of you. This last game drove me crazy on that account. If your heart is not in it, just quit and move on to something you really want to do. I can't believe the disaster of the last game. I'm dumbfounded on the missed opportunities at the basket and the free throw line. Inexcusable! Maybe a hard game, Alabama has 4 McDonald's All American Nominees on their roster! ...and if the Lady Vols win....it will be "where are all the Holly haters now"? That's how it has been throughout her entire tenure. Even though it's a bad Alabama team. Ill never root for the LV to lose...but regardless....its way past time to make a change. If LVs lose tonight, CHW needs to do the right thing and bow out gracefully. She won’t do it and I have no confidence that Fulmer will do anything either.